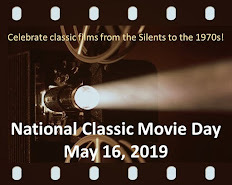 Classic Film and TV Café: John Frankenheimer Counts Down "Seven Days in May"
John Frankenheimer Counts Down "Seven Days in May"
John Frankenheimer followed his classic The Manchurian Candidate (1962) with this equally original political thriller. Rod Serling’s taut screenplay interweaves the stories of three men: President Jordan Lyman (Fredric March), whose popularity has plunged as a result of pushing for a nuclear arms treaty with Russia; General James Mattoon Scott (Burt Lancaster), the influential, egotistical head of the Joint Chiefs of Staff; and Marine Colonel “Jiggs” Casey (Kirk Douglas), a key member of Scott’s staff. After this prologue, Colonel Casey sets the plot in motion when he learns of a top secret message involving a Preakness Stakes betting pool. Later, he meets Colonel Henderson, an old friend, who makes an odd comment about his Army unit: “It’s funny…we spend more time training for seizure than prevention.” Casey continues to collect more unusual clues—none of which means much individually. However, they slowly lead him to a stunning realization that has ramifications upon the very nature of our democracy. Part mystery, part suspense film, Seven Days in May is a rare motion picture in which the outcome is always in doubt until the climax. That uncertainty is a testament to Frankenheimer’s craftsmanship as a filmmaker. He also excels in making excellent use of his settings and in making time an important element in the film. Frankenheimer gives us a complete tour of the nation’s capitol—from the Pentagon’s chambers to the President’s study to dark alleyways where deals are made. And, after cueing us into the fact that something will happen on Sunday, he counts down each day, leading his characters to their inevitable confrontation. In Serling's screenplay, President Lyman and General Scott initially appear to be polar opposites. Scott comes across as a strong, charismatic leader convinced that a nuclear threat is the only way to hold the Soviet Union in check. Lyman, on the other hand, seems bland, weak, and unpopular (his approval rating is a disasterous 29%). Lyman can't even convince his own military leaders that peace is the best option. However, as events unfold, these initial perceptions are put to the test. One realizes that Lyman's conviction to stay his course despite an onslaught of criticism is a testament to his inner strength. In contrast, Scott's impatience and ego propel him to attack the very foundations of our country, using its best interests--as interpreted by him--as an excuse. 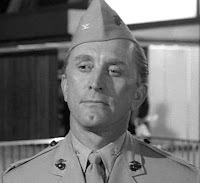 Though March and Lancaster are compelling as the protagonists, Kirk Douglas grounds the film with his excellent performance as Jiggs. It's a great role, as Jiggs is the man in middle whose compass shifts from one man to the other--as the audience moves along with him. Seven Days in May represented a career peak for director John Frankenheimer. He continued to make interesting movies in the 1960s with The Train (1964), the cult classic Seconds (1966), and Grand Prix (interesting from a technical standpoint). However, his career faltered in the 1970s, with critics drubbing Prophecy (1979), an entertaining monster film with an environmental message. 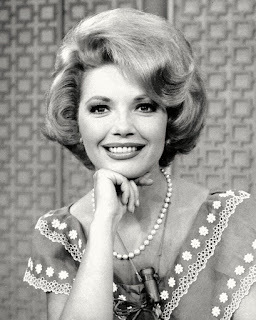 Toward the latter part of his career, he earned recognition again with well-reviewed made-for-cable films. Ironically, Seven Days in May was remade as the 1994 cable movie The Enemy Within, but it was not directed by Frankenheimer. The cast featured Sam Waterston as the President, Jason Robards as the general, and Forest Whitaker as Casey. This move is really suspenseful. I, however, think Lancaster is the most compelling man in the film. In an age when bomb hysteria was running amok, he epitomized some in the military--see the Bay of Pigs. On the heels of the Cuban Missile Crisis, this film was very jarring for many Americans. Rick, this is truly a thought-provoking film. There is one scene where the characters move along a floor in the White House with huge black and white tiles. The President and Jiggs are on one side with Jiggs moving toward the camera and Scott is on the opposite side, moving toward the President. It reminded me of players in a chess game. 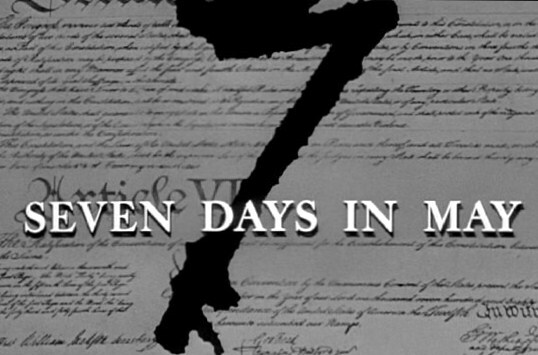 Ultimately "Seven Days in May" is a story where letting right be done is of the foremost concern. This is a remarkable film and your write-up truly does it justice. Great job! Rick, a great post on an excellent film that doesn't seem to be remembered the way it should be. I find this one of Frankenheimer's best, right up alongside "The Manchurian Candidate" and "The Train." Douglas and Lancaster, who can be so similar that they are often interchangeable, are both great here. 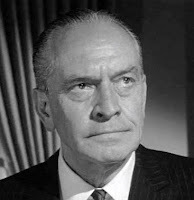 Lancaster reminds me of his J.J. Hunsecker in "The Sweet Smell of Success"--all cool calculation and barely concealed, malevolent egotism. I thought the set design was especially notable. When Robert Osborne introduced this on TCM he said that Douglas was originally cast in Lancaster's part but wanted Lancaster in the film so agreed to give him the "better" role. Given how good Douglas is--as you observe, his presence "grounds" the film--with his tendency to overact held in check, I think he makes his part the equal of Lancaster's. I really like this one. March, Lancaster, Douglas - add Ava Gardner, Edmund O'Brien, Martin Balsam and more,... can't lose. Yup, the scenes between Lancaster and Douglas are terrific -- in fact, the scenes between any two characters are terrific.